This page is under construction. Please bear with us as we update information and page formatting. Academic Half Days for PGY1s - residents attend on the service to which they are assigned. 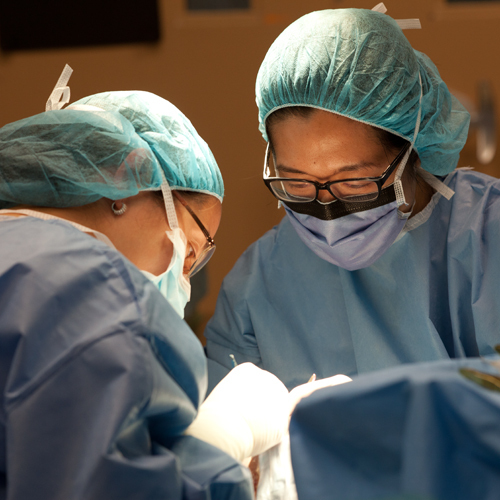 Surgical education is a priority at Queen’s, allowing for a high volume of hands-on surgical training. 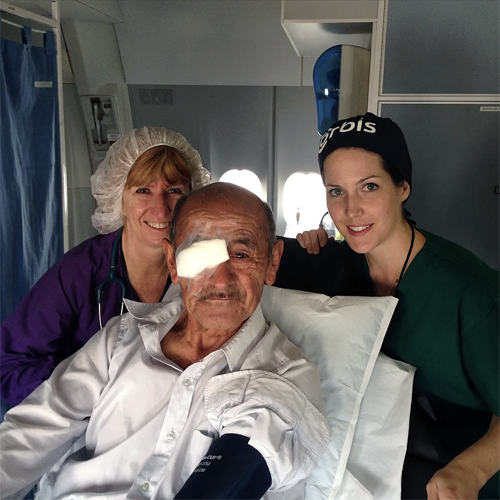 Thousands of operations, covering all areas of ophthalmology, are performed in our department every year. We are extremely proud that residents are involved in virtually every procedure. Moreover, our residents have the opportunity to work one-on-one with attending surgeons over extended periods, which fosters the close relationships so vital to surgical training. 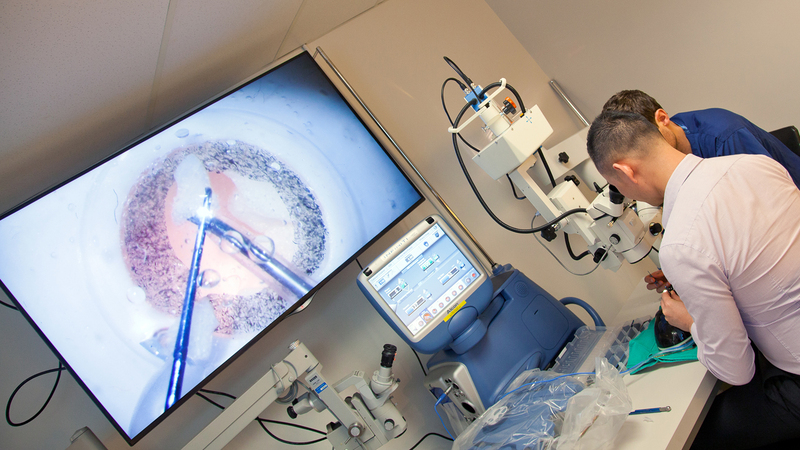 As a result, our residents have tremendous opportunities to perform many procedures, and become confident in the complete range of ophthalmic surgical procedures. We have a recently renovated, fully equipped, state-of-the-art surgical skills simulation wetlab on-site at Hotel Dieu Hospital. In this lab, there are two double-headed microscopes, one of which projects to a large colour monitor to allow for teaching of many learners at once. There is brand new equipment for every subspecialty, with instruments and a phacoemulsification machine like the ones used in the actual OR. The wetlab curriculum has been redesigned to allow learners at every stage to utilize this facility, providing opportunity to learn stage appropriate skills to facilitate the transition to surgery on real patients. This space is also equipped with a pathology microscope capable of projecting the examined specimen to the large colour monitor for real-time teaching of pathology. The opportunities in this new space are endless! At Queen’s, we believe in providing our residents with the opportunity to learn from a broad range of sources and experiences. All of our residents are provided with generous amounts of time and funding to attend an inspiring array of the world’s best courses and conferences. 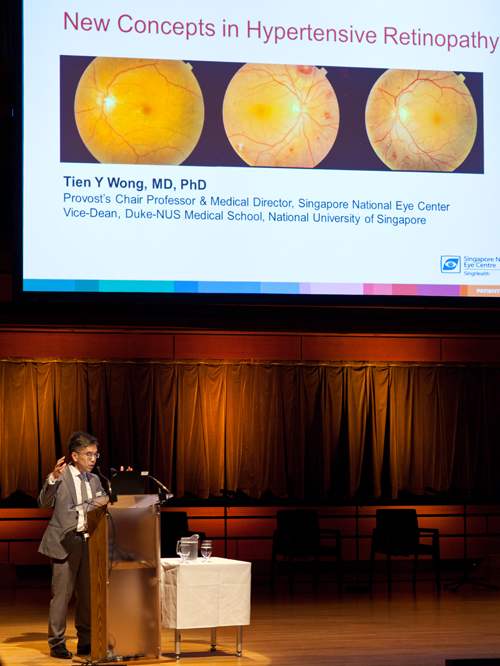 These courses and conferences have included the Bay Area Course at Stanford, the Lancaster Course in Maine, the Halifax Ethics Course, the American Academy of Ophthalmology, ARVO, the Sally Letson Symposium, and the Canadian Ophthalmological Society (COS) Conference, to name a few. Developing a broad view of the world of ophthalmology is an important component of residency training. To that end, our program has been open to innovative opportunities for learning. Electives: Our residents have the opportunity to organize elective blocks at other institutions. These are an opportunity to expand horizons or to investigate future fellowship locations. Outreach: Residents are provided local opportunities to travel to Northern Ontario to deliver eye care to underserved communities on the CNIB Mobile Eye Van. There are also dedicated funds for each resident to pursue international elective experiences. Past residents have organized international electives with groups like Orbis. Others have created individualized international opportunities of their own. The sky’s the limit!